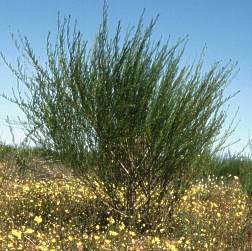 Aspalathus linearis, the source of rooibos tea, is a shrub found in the western mountainous parts of the Western Cape. Rooibos tea is a most popular drink for health-conscious people, as it contains no colourants, additives or preservatives and is free of caffeine. The species is reported to be not under threat but a number of factors are causing areas with natural populations to decrease. Due to the great demand for rooibos tea, both nationally and internationally, more of the land is converted to plantations of this plant. Other factors influencing natural growth are overgrazing by stock, alien plant invasion, climate change and the uncontrolled harvesting of wild rooibos. 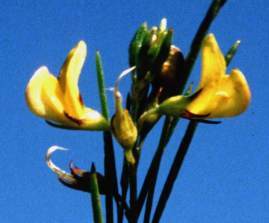 Aspalathus linearis is naturally distributed in the winter rainfall area from about Vanrhynsdorp in the north to the Cape Peninsula and the Betty's Bay area in the south. The area experiences cold wet winters and hot dry summers with about 300-350 mm of rain per annum. Rooibos tea is made from selected forms of the species found mainly on the Cederberg Mountains. It is cultivated on sandy soils in the valleys of the Olifants, Breede and Hex Rivers (Dahlgren 1988). Aspalathus linearis is of great economic value. 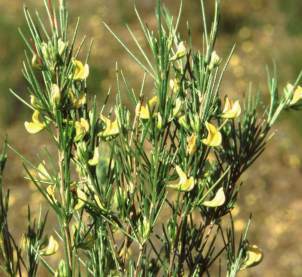 It was first used by the indigenous people of the Cederberg area and is currently a very popular tea. It is considered healthy as it is caffeine-free, low in tannins and rich in anti-oxidants. It is not only enjoyed as a herbal tea, but is also used as an ingredient in cosmetics, in slimming products, as a flavouring agent in baking, cooking and cocktails and even as a treatment for infants who are prone to colic. The basic method of rooibos harvesting has remained largely the same as the process used centuries ago. An environmentally friendly way of harvesting tea is used that involves cutting only the young branches. Once they are cut, they are neatly bound and transported to the process yards. The older branches are left on the tree and the bushes get slightly taller every year. The tea cuttings are chopped very fine and then bruised to ensure that the important chemical reaction which develops the characteristic colour and flavour of the tea can take place. After watering and airing, the tea is left to "sweat" in heaps and it at this point that the tea acquires its typical reddish brown colour and develops its sweet flavour. After the sweating process has been completed, it is spread out in a large drying yard to dry in the sun. Generally farmers plant seeds in February and March and then transfer the seedlings to plantations. It takes 12- 18 months before the shrubs are ready to be harvested. The plants are harvested once each year, from December through April. They are harvested up to period of five years and then pulled out and new plants are planted. Dahlgren, R. 1988. Crotalarieae (Aspalathus ). 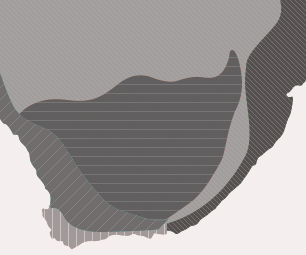 Flora of southern Africa 16,3: 1-423. Heiveld organic rooibos tea: produced with pride. 2003.